Surrender yourself to the hands of safari-experts with over thirty years of experience. At Tanda Tula Safari Camp an extremely devoted team is waiting for you, making you feel like you have arrived at a friend’s house. From owners Don and Nina Scott, to executive chef Ryan and ranger Scotch: every member of the self-called Tanda Tula-family is passionate, and that shines through every action. Ever since owners Don and Nina turned their back on city-life, they invested all their energy in providing guests with the most incredible experience, as well as numerous healthcare and community development initiatives. It is here, at the Tanda Tula Safari Camp, on the banks of the Nhlarumi river and in the heart of Big Five country, where you will be enchanted by the charm and down-to-earth atmosphere in this four-star plus setting. And the icing on the cake? 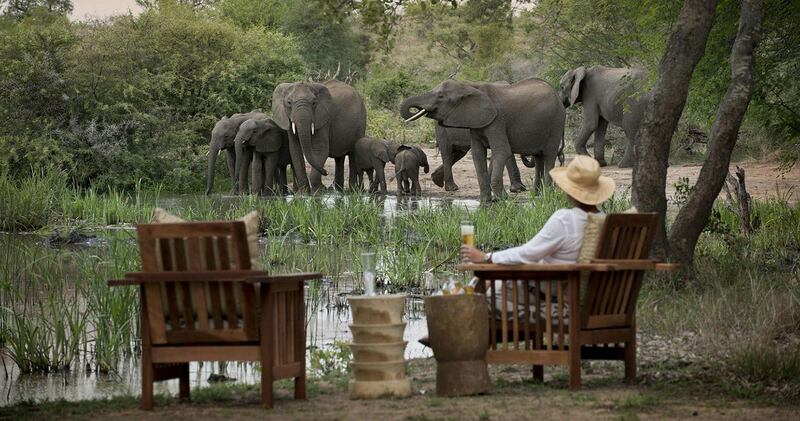 An active waterhole is located across the camp; a lively wildlife hotspot for thirst-quenching or taking a splash. 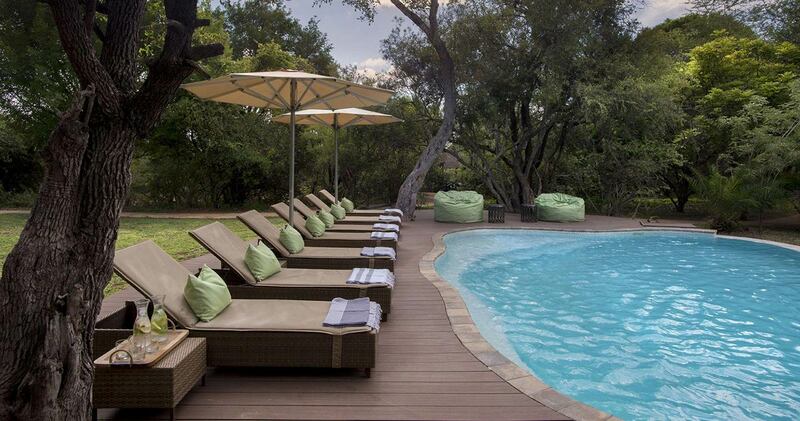 The exquisite twelve canvas and thatch tents are comfortable, with an emphasis on a relaxed, private atmosphere. 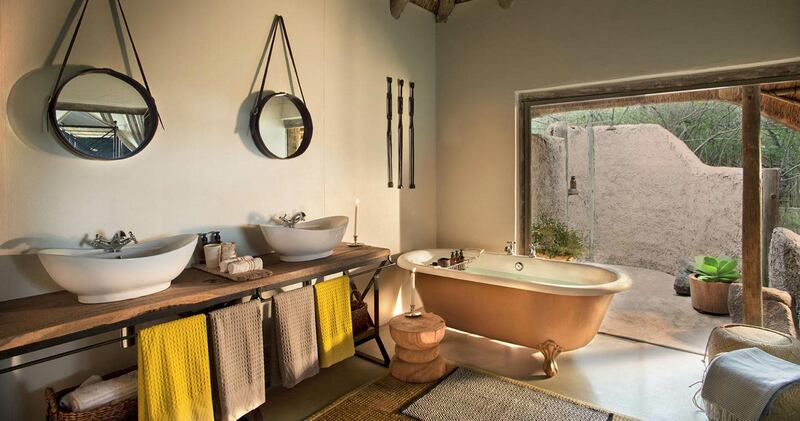 Each tent at Tanda Tula Safari Camp features an en-suite bathroom with a traditional Victorian bathtub, a dreamy, romantic outdoor shower and a private deck with loungers. The main lodge is warmly decorated, with inviting couches and armchairs. 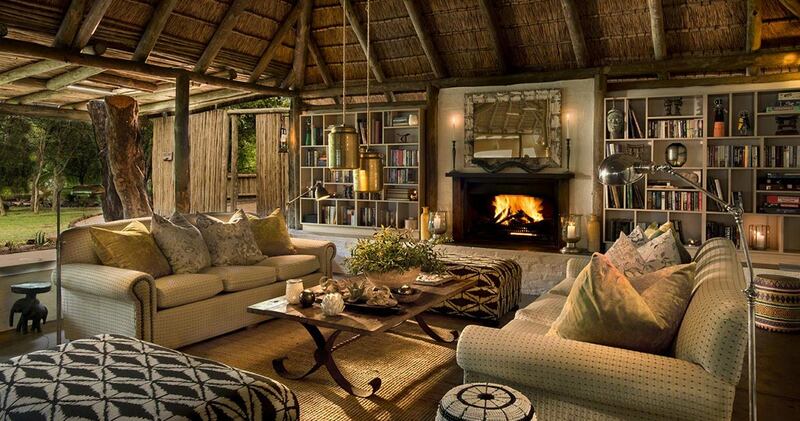 It includes a spacious thatched lounge where you can sit near the crackling fire and catch up with friends or other guests. Or enjoy some of the finest African wines at the open sided bar which overlooks the garden (don’t forget to ask the bartender about his homemade alcohol-free drink). Nighttime meals are enjoyed either in the boma, the garden under the stars, or the riverbed, which runs alongside the camp. There is an infinity pool overlooking the waterhole and, dear honeymooners, a hideaway at Machaton Dam for private picnics. Two game drives a day, bush walks, romantic private dinners, river bed picnics: everything is possible at Tanda Tula Safari Camp. The rangers Formen, Scotch and Civilised will share all their knowledge, and combined they have over fifty years of safari-experience. After the morning drive, a breakfast in the bush is waiting. Chef Ryan and his team serve a continental buffet and a cooked English breakfast feast. And for those who feel like some physical activity: plan a bush walk with an experienced guide and you will be blown away by all the small discoveries hiding around every corner. 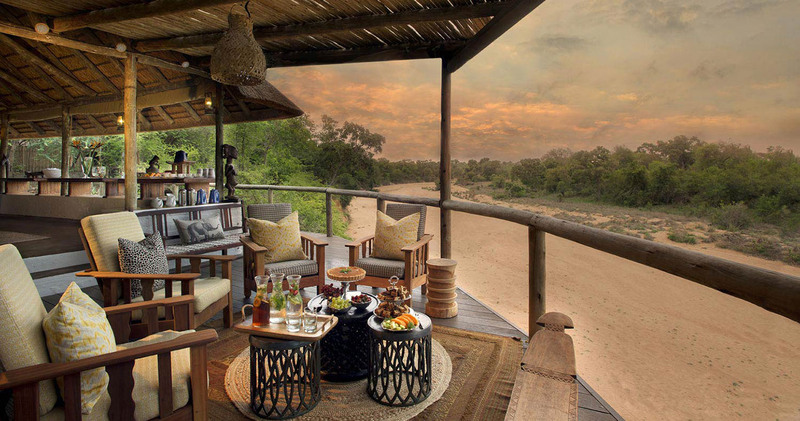 A sundowner on location, of course, accompanies the afternoon game drive, followed by a dinner in the boma. Chef Ryan sources local produce whenever he can, and the dishes are not only super tasty, but healthy as well. The kitchen also supports the Hlokomela Herb Garden, which grows and sells fresh herbs to provide general income for the local community. Sustainable and going-local never tasted so yummy. We had two nights at Tanda Tula at the end of a wonderful stay in South Africa. Tanda Tula is the most magical place I have ever stayed in thanks to its wonderful staff, glorious setting and stunning accommodation. Our game sightings were PHENOMENAL. I have been on many bushveld game drives and none of them compare to my time at Tanda Tula. Civilised, our tour guide, was incredibly knowledgable, a wonderful story teller and obviously very passionate about the animals and his job. The staff at Tanda Tula made our stay delightful. Smiling, the barman along with Ryan, the chef ensured we went home absolutely stuffed with delicious food and refreshing drinks. Our room was always spotless. The service was 5 star. 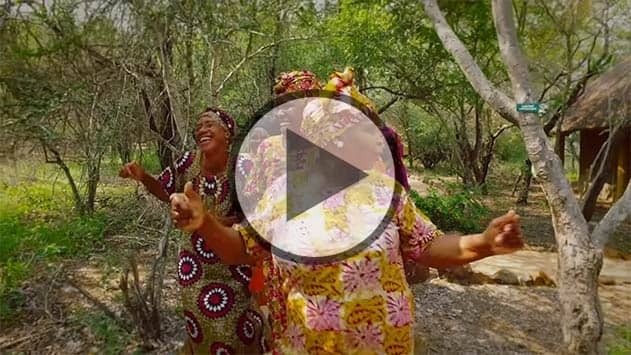 Thank you to everyone at Tanda Tula who made our experience out of this world. Jenny and I had the most amazing experience at Tanda Tula. I had high expectations for a safari, which was my childhood dream, and it did not disappoint. Our driver and tracker, Scotch and Patrick, were patient, knowledgeable and very engaging. The tent and the meals were awesome. Everyone on the staff helped to create a beautiful and memorable experience. Highly recommended! 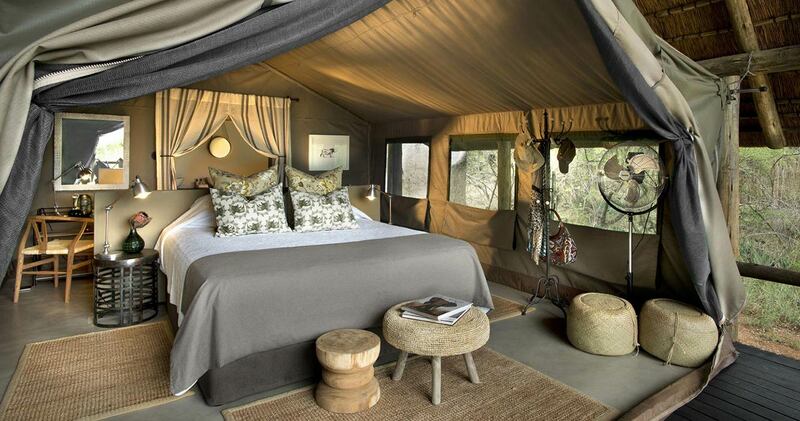 Between March and October Tanda Tula offers an option to camp out in the bush on an exclusive use basis. 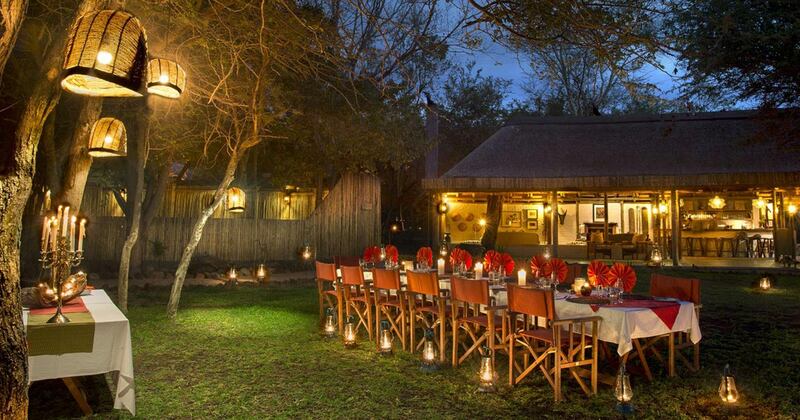 Tanda Tula's field camp accommodates a maximum of eight guests. Ask us for more information. Read all about travelling to Tanda Tula on our getting to Timbavati page. Tanda Tula is best accessed through Hoedspruit Eastgate Airport (HDS). Children of eight years and older are welcome to stay at Tanda Tula. Children under twelve pay applicable child rates and must be sharing accommodation with parents. Children 12 - 18 pay full adult rates. Please note: there are no special facilities for children. We hope you have found all information needed to decide that Tanda Tula in the Timbavati Game Reserve is the perfect place for your next travel adventure. Please fill in the contact form and we will get back to you soon!